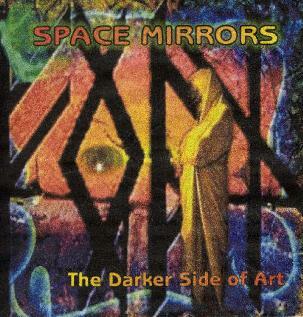 Space Mirrors - "The Darker Side of Art"
My introduction to Russian keyboardist Alias Coral's music was her 2002 Neutron Star CD, which I described as a combination of early Tangerine Dream, Vangelis, and the work of various experimental sound sculpture artists. Just released on Andy G's Dead Earnest label is The Darker Side of Art by Space Mirrors, a collaboration between Alisa and Australian guitarist Michael Blackman (Alien Dream) that is an ultra cosmic set of Space Rock with healthy doses of metal and progressive rock. 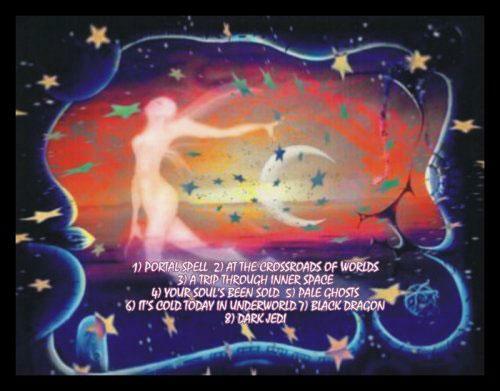 The album opens with "Portal Spell", a tripped out keyboard/guitar intro piece that prepares the listener for the journey to come. Very much in the Space Ritual realm, it's a haunting, darkly atmospheric, yet acid drenched brand of space. Things blend seamlessly into "At The Crossroads Of Worlds", an equally spaced out tune with alien synth madness, freaky swirling guitar and keyboard efx, scary robotic narration, and a mindbending rockin' rhythmic pulse. I love the blend a driving metallic crunch and deeeeeeeep in space ROCK. "A Trip Through Inner Space" eases the pace a bit, being a moody and more ambient piece. "Your Soul's Been Sold" goes in a somewhat different direction, having an excellent uplifting melody and I like the combination of guitar, dancey beats, and shooting space synths. The heavy rhythmic drive continues on "Pale Ghosts", one of the true highlights of the set. Spacey proggy keyboards provide a light melody over which the guitars trip the cosmos fantastic. Imagine a space metal band at a rave. VERY intense and doesn't let up for an instant. Dutch progressive rocker Arjen Lucassen (Ayreon, Space Metal) adds guitar and vocals to "It's Cold Today In Underworld", which adds an extra high octane metallic kick to the music. There's lots happening here with multiple killer guitar parts, headbanging rhythms and UFO weirdness galore. Scrumptious!! "Black Dragon" pulls back again into spaced out kosmiche dreamland... but it's only temporary... because the mercury levels are about to burst. And burst they do on the nearly 13 minute grand finale entitled "Dark Jedi". Arjen's guitar joins in again for what is the ultimate space metal, prog rock demolition squad assault. The song transitions through multiple movements, creating some of the most hair raising prog-metal symphonic moments I've ever heard from the inside of a spacecraft hurtling through the cosmos. Wow! I've heard this CD numerous times now and I'm left drained each time. One hell of a closing number. In summary, not much to say other than that this is a monstrous slab of fire breathing, brain cell destroying space rock. Quite a departure from Neutron Star. Wanting to hear more about this project I conducted the following interview with Alisa. AI: Tell me about your background and the kinds of music that inspired you to become a musician. Alisa Coral (AC): Maybe it all began when I first heard Huw’s guitar playing on “Live Chronicles”?! In fact it was my first Hawkwind album, a wonderful Griffin edition with M. Moorcock book. It was like a revelation to me. 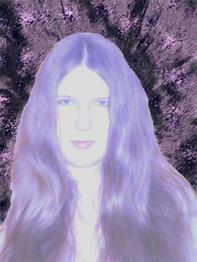 I guess just from that time I wanted to create a space rock band. Years passed and I listened to a lot of different music finding my special affection to some Metal music from the 90’s. Especially Black Metal and Power Metal genres, bands like Immortal, Limbonic Art, Dimmu Borgir, and Blind Guardian, Iced Earth. Also I should mention that the music of Helios Creed and US Space Rock from Pressurehed and Anubian Lights had a certain influence on me. AI: It's interesting to read about your interest in Black and Power Metal. I think liking such very different genres as metal and space electronic music has contributed to the new Space Mirrors turning out so well. Lots of great possibilities for the marriage of metal and space. AC: And I think Arjen makes it in some way on his Ayreon and Star One albums. Real Space Metal. But maybe with Space Mirrors we will take it on a new level. AI: The Darker Side of Art is certainly different from your last album, Neutron Star. There's clearly a diversity of styles that come together on this album, from the flowing soundscapes that defined Neutron Star to full blown space metal. AC: Neutron star album was my first big experience with synth music recording. I had some ideas for that Tangerine Dream/Tim Blake cosmic music style and it came out as Neutron Star. But The Darker Side of Art was developing for a few years already. I just couldn’t find the right form of music and musicians to turn it into reality. We had conversed with Arjen through e-mail for some time already and everything fell together when I listened to Alien Dream album and Michael listened to my Neutron Star. I thought “that’s the guitar I want on my album” and he liked my synth sounds. 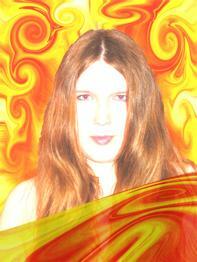 So in Summer of 2002 I began to prepare the material for the Darker Side. And Arjen agreed to help too. AI: Was all the collaboration for the Darker Side of Art done through the mail? AC: Yes, and that is why it took a long time. All the post-delays, etc. AI: It always amazes me how such wonderful results come from pieces beamed from different parts of the planet. Tell me about how the project came together. Was there a lot of trading tapes back and forth or did all the pieces Fall into place easily? AC: Well, Internet really helps here. We could exchange mp3s of rough mixes and I could control everything from first guitar riffs. Michael is actually a permanent member of the band and he recorded most of the guitars for the album. We discussed how this piece or that should sound and at the end everything turned out fine. He is a great guitarist and can play everything. Really there were not much place to play something different in the songs. All of them already had rather firm structure and most of the melodic lines when I sent them to the musicians. Also I was writing comprehensive comments on what I wanted to hear in the songs. Two songs were written specially for Arjen’s heavy guitars and his voice. Arjen is very professional and recorded all the material very fast and right. I guess I have some form of “time-telepathy” with my musicians (it’s Arjen’s invention from first Ayreon album.) I especially love his heavy rhythm guitars on the first part of Dark Jedi, maybe the heaviest I’ve ever heard, and his singing on It’s Cold Today in Underworld. Steve did a nice job with acoustic guitars and solo on Black Dragon, he is very accurate and he can pick out the notes from any music he hears. AI: "Dark Jedi" is a very powerful track that ends the album on an intense note. Like a space/prog metallic symphony. Tell me about the theme. Reading the narration in the booklet it sounds sympathetic to Darth Vader and dark side of The Force in general. AC: Yes, Darth Vader was my favourite character from the classic Star Wars trilogy. Dark Jedi is based on the second (or first now?) trilogy, which is to be finished by George Lucas. It tells about the path of Anakin to Darth Vader and represents my version of how he turned to the Dark Side with the actual fault of Jedi Knights in this. AI: Do you read much science fiction/fantasy? AC: Quite a lot. Authors like Roger Zelazny, Frank Herbert, Michael Moorcock, George Martin, Robin Hobb are among my favourites. Sci-Fi/Fantasy along with historical fiction and books on researches of ancient civilizations (Z. Sitchin, E. von Daniken) are the most interesting and cognitive literature styles for me. AI: Your news page indicates that as late as November 2003 you were still looking for a label. How did you finally hook up with Andy G? Dead Earnest is certainly a perfect home for this album. AC: We had a contact for a long time and he offered me help in release of the album almost a year ago but due to some circumstances we could make it only now. I’m sure he will make his best with this release. AI: Your discography page lists 3 albums other than Neutron Star and Darker Side of Art. What is the music on these albums like? AC: Synchronicity is industrial noise album, interesting only for a few listeners maybe. Frozen Fields “Fimbulwinter” is experimental dark trippy synth music, which had to be released on Falcata-Galia label. It seems like it has went out of business now... So I don’t know what future expects this one. Astral Shift was 20 minutes of industrial/electronic music. AI: I saw talk on your news page about possibly getting musicians together for a Space Mirrors performance at one of the Hawk fests. Any chance of that happening? AC: It could have happened the last year but I couldn’t get the UK entry-visa twice. Now I don’t know what should I do to get it. The UK Embassy in Russia hates Russians and is really violating Human Rights! That’s all I can say about it. Maybe only if there are concert agencies, etc. involved, it can help. So there is a bigger chance to see Space Mirrors playing somewhere in Europe. I think some time after the second album is released, we get some interest. We will need to fly Michael over from Australia and find a bassist and drummer to make a full live band. I know a couple of persons who would agree to play. So let’s wait and see what the future will bring. AC: I’m mostly aware of metal and prog scene here. There are some good bands in Moscow. I would mention Power/Prog Metal from Nefelim and Black Metal acts Radigost and Crystal Abyss. I know there are some underground electronic/experimental labels around, but I never got in touch with them so can’t say much, really. And I got the impression that the music scene in the Russian province is more developed and qualitative than in Moscow. AI: What's next for Alisa? Any future projects or news you care to share? AC: A new Space Mirrors album is being recorded now. Actually almost finished. It’s titled “Memories of the Future” and I can say it will be heavier and has more song-oriented structure than the first one. Also you can expect some known guests from the Space Rock scene. Watch our website for news. Visit the Dead Earnest web site at: http://www.deadearnest.btinternet.co.uk. 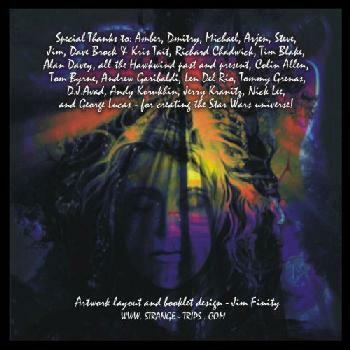 And check out Jim Lascko's Strange Trips site at: http://www.strange-trips.com.